This event will take place on October 20th, 2018 in Kingwood, Texas at Kingwood High School. This race is designed for runners, joggers, walkers, and kids. We have three race distances for everyone to choose from: the 10K, 5K, and a 1 Mile Kid Run for kids 12 years old and younger. This event is chip timed. This event benefits Northeast Houston Young Life, a non-profit Christian out reach organization that has been in Northeast Houston for over 25 years. Currently Young Life is reaching students at Kingwood High School, Summer Creek High School, Riverwood Middle School, and Creekwood Middle School. More information about Northeast Houston Young Life can be found here. 2018 Results can be found here: Kingwood 10K & 5K and 1 Mile Kid Run. The past two years we have hosted the Kingwood 5K Fun Run & 1 Mile Kid Run. Results from 2017 Kingwood 5K and 1 Mile Kid Run. Parents are allowed to run with their children. All 1 Mile Kid participants will receive a finishers medal when they cross the finish line. Award medals will be given to the 1st place male and female in each age group for the 10K and 5K in the following groups: 1-12, 13-19, 20-29, 30-39, 40-49, 50-59, 60+. 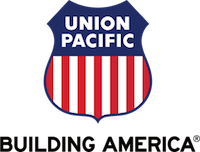 Participants must register before October 8th to receive a race t-shirt. Any registerants after October 7th are not gauranteed a t-shirt. In the case of bad weather, event will not be rescheduled and refunds will not be issued. No pets are allowed on the race course. Strollers are allowed, but we ask participants pushing strollers start at the back of the pack. Thank you for understanding. Why participate in this event? It was made with you in mind! We've mapped out a race route in the center of Kingwood on the beautiful roads we get to drive everyday but don't get to run on! All proceeds from this event go to benefiting Northeast Houston Young Life. 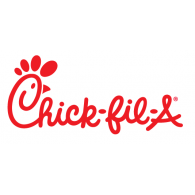 A non-profit impacting the lives of students at Kingwood High School, Summer Creek High School, Riverwood Middle School, and Creekwood Middle School. All races will start/finish at Kingwood High School on the main entrance road in front of the school. 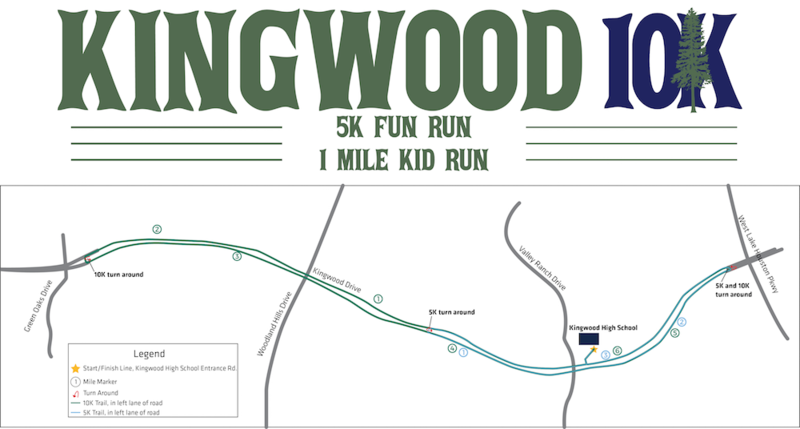 The entire race will be ran on Kingwood Drive, with different turn around points for each distance.